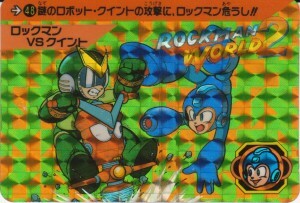 Rockman battles his future self on card 48 of Carddas’ classic Rockman series. 48. Rockman narrowly evades the attack of the mysterious robot Quint!! 4 Comments to "Free Quint Friday"
So THAT’S where that pixel-art of Megaman fighting Quint came from! Apparently, Capcom made exclusive art for these cards. They always interest me whenever an image of them pops up on the net somewhere. Thanks for sharing. The original art is pretty spiffy. I’m planning on putting quite a bit more up in the future, too. 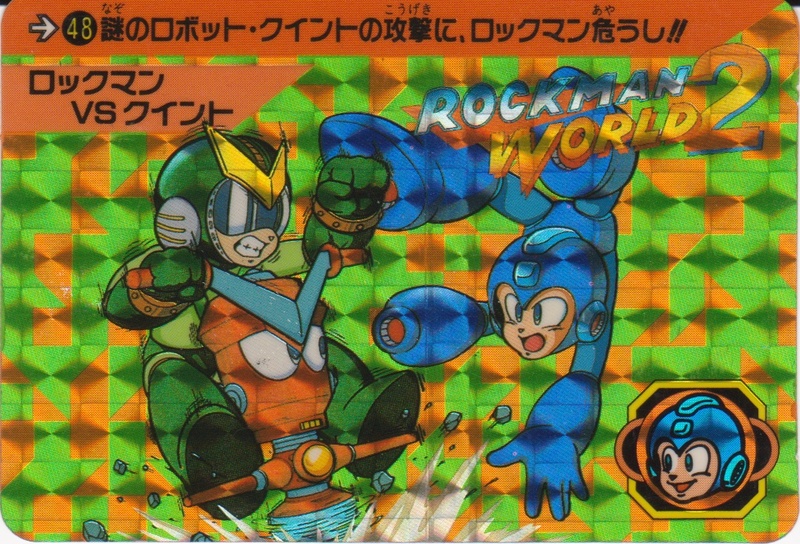 Can’t get enough of the adventures of Rockman. The cards are well designed. Capcom does justice!